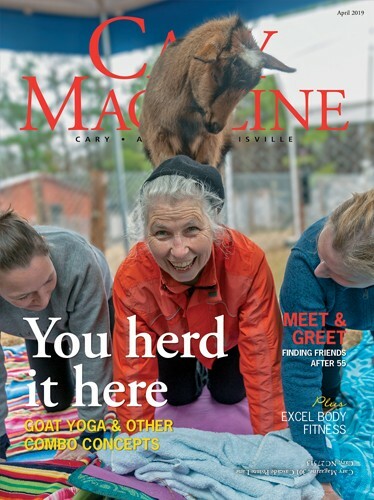 Check out our digital edition! It’s that time of year! The holiday season is the time for that sweet and tasty treat that always makes your mouth water. Yes, we are talking about pie! From pumpkin to pecan to apple, why not try your hand at making your favorite pie this holiday season? Don’t think you can do it? Well, we say you can! Pie making is usually seen as an art for the more experienced bakers of the world, but after taking the Everyone Loves Pies class at Whisk culinary and kitchenware shop in Cary, led by Chef Ruby Kaye, we learned that baking pies can actually be done by even the most basic of bakers. Don’t be intimidated by holiday baking season! Cary Magazine’s Susan Johnston followed these step-by-step instructions for Chocolate Raspberry Tart, and found even an inexperienced baker can create a dessert worth sharing. Being an inexperienced baker myself, I can relate to the no-can-do attitude when it comes to pies. However, after seeing my end result, I know that you, too, can surprise yourself with what you can do! Whatever the holiday event, surprise your loved ones and show off your baking skills by making this simple and delicious Chocolate Raspberry Tart. Yum! But these tarts, a thinner, shallower version of a pie, are fun to make! 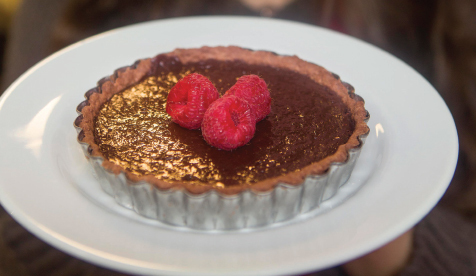 Since the goal is a chocolate raspberry tart, chocolate tart crust is what we’ll make. Mix flour, cocoa powder, sugar and salt in a food processor. If you do not have a food processor, don’t fret! Your own two hands work just as well. Add in cold, diced butter. It is important to use cold butter so that it does not get soft while stirring. Pulse until the butter is broken down into pea-sized pieces. This prevents getting air bubbles in your dough. Slowly add cold water until your dough forms and voilà! It can be as simple as that. Now, it is time to break out your rolling pin! After you have rolled your dough out into a circle-like shape, roll your tart crust up on your rolling pin to make it easier to lay out on the tart pan. Once you’ve set the dough in the pan, roll the rolling pin over the pan edges and peel off the extra dough. 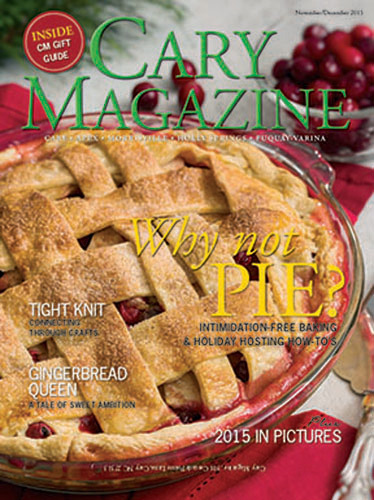 “375 degrees is a good standard temperature for baking pies,” Kaye said. Go ahead and feel proud. You’ve successfully made your very own tart crust! It’s time to make the filling, and yes, this can get a bit messy. Fill up a bowl with your favorite semi-sweet and dark chocolate chips. Boil heavy cream and pour it over the chips until it just covers the top of them. Stir until the chocolate is smooth. Don’t be surprised if you get a splash of chocolate here or there. Just lick it off and keep on stirring! Add raspberry preserves to your chocolate filling. “We want to make it scream raspberry,” Kaye said. Now, pour your filling into the tart pan and you are ready to bake! If, like me, your favorite part is licking the chocolate bowl at the end, grab a spoon and go for it while you’re waiting! You did put in hard work, after all. Once the tart is baked, let it cool then place a few raspberries on top to give it a finished look. Show it off! Your tart is ready to sit pretty on your counter and impress your friends! Get the satisfaction of seeing their faces as they take their first bite into your creation. “It’s awesome when you can make something and put part of yourself into it,” said Kaye. Lastly, grab a piece yourself, because you deserve it! This 10-inch tart serves 8-10 people. Preheat oven to 375 degrees F. Dice chilled butter into small pieces. Mix flour, cocoa powder, butter, sugar and salt. Stir and add water until dough forms. Add in egg yolk and stir. Cover with plastic wrap and refrigerate for 20-30 minutes. Once chilled, roll the dough out and place into 10-inch pie or tart pan. Add both kinds of chocolate chips into a large heat-proof mixing bowl. Heat the cream until it boils and pour over the chocolate chips. Stir until the chocolate is smooth. Add the egg and desired amount of raspberry preserves. Pour the filling into the tart pan. Bake at 375 degrees F for 15-20 minutes. Allow the tart to cool.